MBI participated in a project headed by PG Environmental to evaluate the efficacy of compensatory wetlands in the Lake Erie drainage of Ohio. 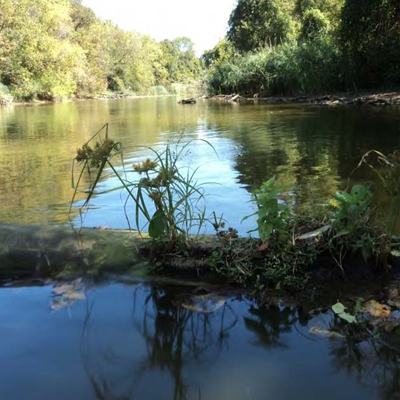 Annually more than 40,000 acres of wetlands are restored, established, enhanced, and preserved to compensate for the approximately 20,000 acres of losses permitted through the federal wetlands regulatory program. It is not clear, however, whether this compensation is yielding projects that successfully replace lost wetland acres and functions. 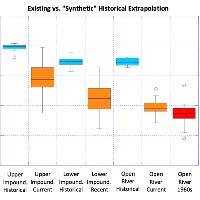 This study attempted to assess the regulatory and ecological outcomes of two compensatory mitigation mechanismsâ€“â€“permittee-responsible mitigation and mitigation bankingâ€“â€“in a manner that would enable comparisons of the two mechanisms. 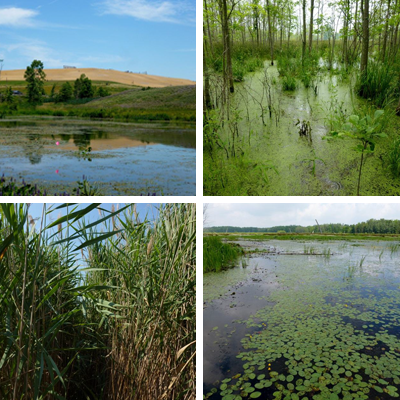 The GLBECS study was performed in Ohio, which has in place Level 3 wetland assessment tools that can identify ecologically quantifiable condition levels. Because the GLBECS mitigation wetlands were located in the same area as where some of the assessment tools developed, specifically the Vegetation Index of Biotic Integrity (VIBI; Mack 2004a) and the Landscape Development Intensity (LDI) index (Micacchion et al. 2010), those tools were used to evaluate the performance of the mitigation wetlands monitored. Overall, 30 percent of the mitigation bank wetlands met the performance standard of good or better ecological condition compared to 13 percent of the permittee-responsible mitigation wetlands.